A large contributing factor to the injuries and unplanned costs caused by turbulence encounters is that flight crews do not have sufficient awareness of the location and severity of the turbulence hazards. Over 80% of aircraft turbulence encounters occur in and around convective activity (thunderstorms, cold and warm fronts). Most commercial aircraft currently possess airborne weather radars, which they use to detect convective weather activity based on reflectivity. 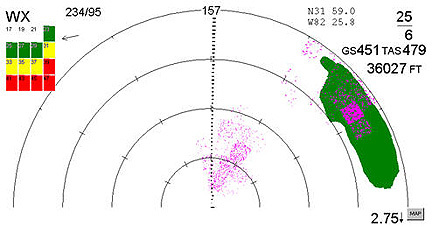 Many of these weather radars have a turbulence mode to display regions of turbulence, but the currently implemented processing techniques produce numerous false turbulence detections and sometimes does not even identify turbulence that actually exists. Also, the current turbulence function does not differentiate between aircraft types – a Boeing 737 would display the same turbulence picture as an Airbus A380 when in fact these aircraft would react much differently to the turbulence. AeroTech Research (ATR), developed the Enhanced Turbulence (E-Turb) Hazard Prediction Algorithm for aircraft weather radars. AeroTech's E-Turb Algorithm presents the turbulence to the pilot's aircraft at its current flight conditions and far enough ahead to allow some action to be initiated. With this forewarning, the pilots may be able to avoid the encounter or at a minimum prepare the cabin and its occupants. 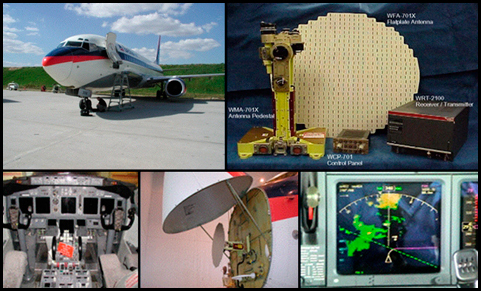 Under the NASA Aviation Safety Program, AeroTech's algorithms were implemented on a Rockwell Collins WXR-2100 radar and installed on a Delta Air Lines B-737-800 aircraft as shown below. The implementation on Delta's aircraft displayed turbulence as a two-level magenta severity display as shown below. This is a new and innovative way to display turbulence in the cockpit allowing pilots, for the first time, to differentiate between turbulence hazard severity. Based on its experience in developing and testing the turbulence detection algorithms, NASA engaged AeroTech to develop methods for establishing compliance to minimum performance standards (MPS) for turbulence detection. The FAA has issued a Technical Standard Order TSO-C63d outlining MPS for airborne weather radars, in which it adopts AeroTech's methodology for determining compliance as the standard. • Reduced injuries to flight attendants and passengers due to enhanced turbulence awareness. • Ability to accurately detect turbulence hazards to the aircraft in areas of low reflectivity (below the threshold for reflectivity display on current weather radar). • Enhances pilots' ability to route aircraft around regions of potential turbulence with no reduction in safety. 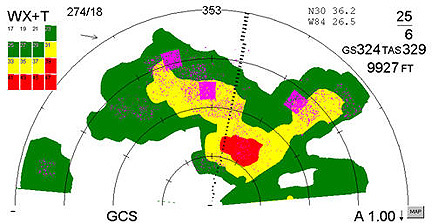 • Provides ATC a better equipped pathfinder aircraft for airspace previously closed to severe weather. • Less unnecessary maintenance, fewer severe loads inspections, less overall stress on the aircraft structure, and longer airframe life due to ability to avoid turbulence. Click to view examples of E-Turb hazard detection.